Few trees gain great height in the windblown fells of the Lake District but this Scots Pine has reared up and defied the weather to become a giant among its peers. This pine sits beside a track that ascends through alders and beeches grouped together, interspersed with hazels and hawthorns, each finding their place and settling in where it best suits them on the sloping ground. 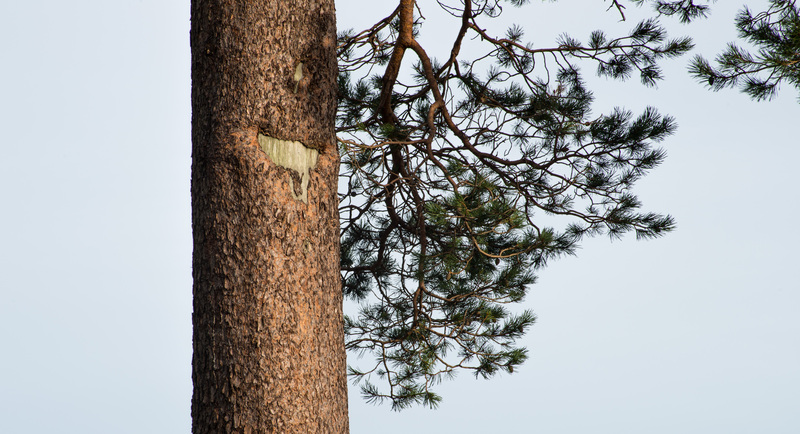 Scots Pines aren’t typically found on their own – they much prefer to grow in groups – so it’s particularly unusual to find this isolated tree. Walk a little further along the path, however, through a strand of young larches, and you will see smaller pines on the slopes below, which have taken broader shapes, hunkered down among the rocks. Woods followed by woods. The sloping fell is lush with trees. Ash, sycamore, oak, massive old trees that have surveyed this path for many decades. A small apple at my feet makes me look up – a crab apple tree, throwing a delicate lattice onto the show-soft sky. Beeches: smooth, twisting, resilient beeches. A stand of birch, its higher slender branches maroon and leafless. Brushes, blushing. Hazels, fallen leaves at their feet. Hawthorns, gnarled trunks and branches writhing for space, thorned fingers, berries red. Higher up, a thicker stand of birches, leaf-bare branches holding their nuts up to the sky. Higher still, larches, yellow in the last of their autumn shout. And then, this Scots pine, squat, wearing its canopy like a hat, its thick red-barked branches splayed out as if for a vast nest. The land falls in a deep slope and I stand eye level with the top of the tallest pine in the valley – the Glencoyne Pine. How to be still in the wind. Join us for an autumn walk in the fells above Glencoyne, and a visit to this stunning tree. For details and to book, visit The Long View Walks page. 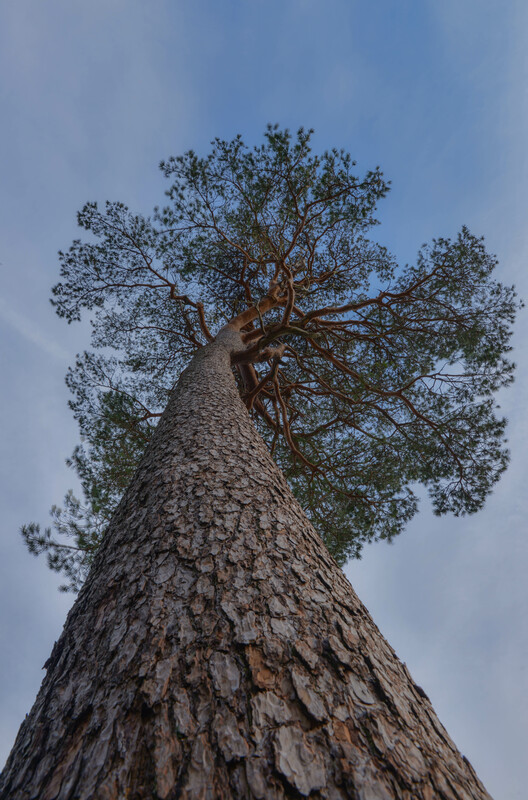 We’ll post links to blogs about this wonderful pine tree, about its fellow pines around the country, and stories of the land around it as we update through 2016 and 2017.